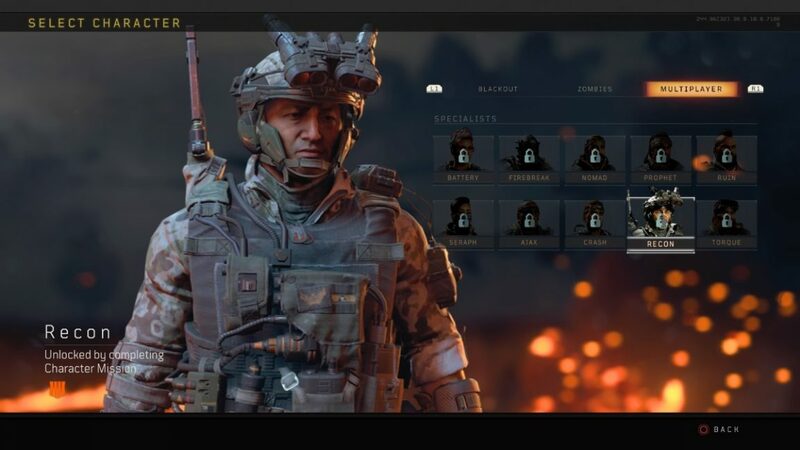 There are a bunch of playable characters in Call of Duty: Black Ops 4’s Blackout mode, but you’ll need to unlock them by meeting a very specific set of criteria. 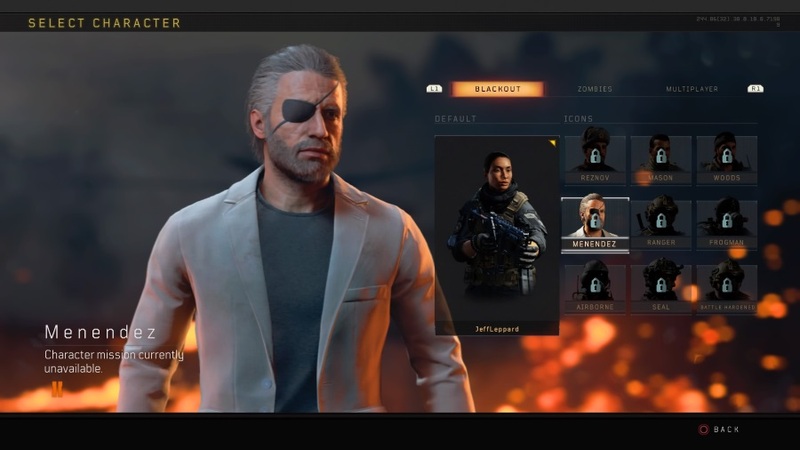 There are 29 unlockable characters in Blackout from previous Call of Duty games, Zombies and Multiplayer modes. To unlock the majority of them, your first objective is to find the challenge that correlates top the character, which appears as an item. You’ll need to keep hold of this item throughout the match as well as complete the challenge requirements. This involves a certain kill style, such as a headshot, or finishing in a specific position. FSome items can be quite difficult to find and drop randomly, so it might take a while before you get the opportunity to complete them. It’s also worth noting that some skins currently aren’t available to unlock as this time. While the majority of these items are randomly placed around the map or found in Supply Drops, you can also loot them off other players once you’ve killed them. You can increase your odds a little once you know what you’re looking for and where those items might be. So here’s our growing guide to unlocking all characters in Blackout. There are only four characters that require you to fulfill a set of ‘mission’ criteria, while the remaining five are unlocked as you graduate up through the echelons. You can see how to unlock those five here. To find out how to unlock Ruin, Torque and a whole bunch of other characters, check out our guide below. Reznov: Obtain the Ushanka Hat from the Estates or the Asylum. Get 1 Long Range Kill of 200m or more, place in the Top 2 Squads, Top 3 Duos, or Top 5 Solos with the Ushanka Hat in your inventory. Mason: Obtain the Stained White T-Shirt item through Supply Stashes. Then, wake the Sleeper Agent by activating the Emergency Broadcast at the Array. Place in the Top 4 Squads, Top 8 Duos, or Top 15 Solos with the Stained White T-Shirt in your inventory. Woods: Obtain the Bandanna item by killing zombies or fallen players, then get in a Helicopter during a match and win it. Menendez: Obtain the Locket item. Kill an enemy with a shotgun and another with a melee attack. Finish the match with the Locket in your inventory. The items to unlock Zombies characters can usually found in the areas heavily populated with zombies, unsurprisingly. Here’s a map to find zombies in Blackout. Dempsey: Find a Death Machine Mini Gun. Kill Zombies and finish the match in the top 10 players. Nikoli: Collect the Cymbal Monkey weapon, dropped by zombies and kill zombies with it. Finish the match in the top 10. Richtofen: To unlock Richtofen you’ll need to collect a Ray Gun, usually found around clusters of zombies and kill zombies with it. Finish the match in the top 10. Takeo: You’ll need to find the Katana to unlock Takeo. Pick up the Katana and slice up some zombies. Finish the match in the top 10. Bruno: Pick up the Mug Shot poster item from either a supply drop or the Blightfather then kill someone with a melee attack. Finish the game with the poster in your inventory to unlock Bruno. Diego: Find the Comic Book item by killing a zombie or the Blightfather and looting their body. Then get a single headshot and then finish the match with the Comic book in your inventory. 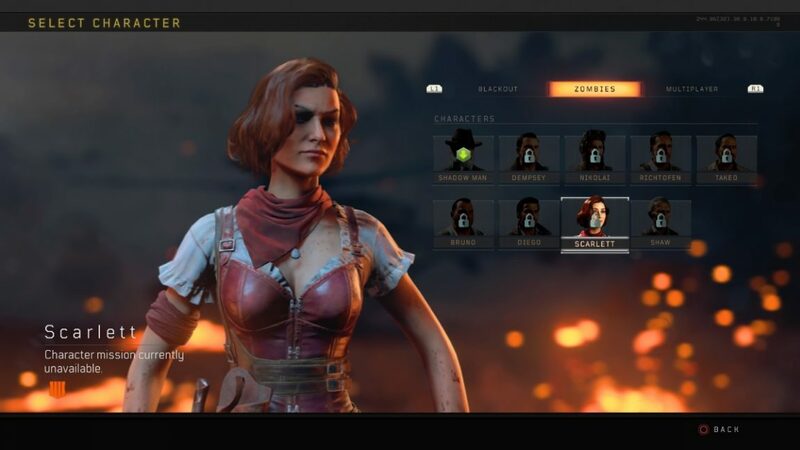 Scarlett: To unlock Scarlett you need to find the Racing Goggles and Scarf by killing and looting a zombie or the Blightfather in the Graveyard. Find a vehicle and kill a player with that vehicle before finishing the match with the Racing Goggles & Scarf in your inventory. Shaw: Pick up the Alchemy Set item that drops from zombies and the Blightfather, as well as Wraith Fire or Acid Bomb pieces of equipment. Next, kill two enemies with Wraith Fire or Acid Bomb and then finish the match with the Alchemy Set in your inventory and Shaw will unlock. Battery: You’ll need to find the War Machine weapon to unlock Battery. Collect War Machine and get kills with it. Finish the match in the top 15 with the War Machine in your inventory. Firebreak: Find the Burned Doll to unlock firebreak. Once you’ve found the Burned Doll you need to kill a player with fire (use the Molotov cocktail). Finish the match with the Burned Doll in your inventory and in the top 15. Nomad: Find Juneau’s Tags in Supply Caches and kill 3 Players With Specialist Skins and finish the match with Juneau’s Dog Tags in your inventory. Prophet: Get the Oculat Prosthetic item from a supply drop. Have three perks active at the same time and win the match. Ruin:Craft the Grapple Gun from missing pieces and finish the match in the top 15 players. Seraph: You need to be armed with the Annihilator to unlock Seraph. Find the Annihilator and get kills with it. Finish in the Top 15. Ajax: You’ll have to come across Broken Armor Plating to begin to unlock Ajax. you’ll get this off dead players who were wearing armor. Scavenge three armour plates from enemies and complete the match with those three armour plates in your inventory. Crash: To unlock Crash you’ll need to find the Poker Chips. As this is a medical-themed challenge, you’re most likely to find the poker chips in a Trauma Case, which is stuffed full of medical items.End the match with 15 healing items, finish the match in top 15, and finish with poker chips in inventory. Torque: You’ll need to find the Note From Torque to unlock him, and that’s found in Supply Drops. Deploy 2 Razor wires, deploy a barricade, place in the top 7 and finish the match with Note From Torque in your inventory. If you’re looking for more help, we have a Call of Duty: Black Ops 4 guide with specific pages looking at best perks and tips if you’re coming to Blackout from other battle royale games like PUBG.